RAPTAWC Gateway email software, together with RAPTAWC modems and terminals, offers users the ability to send and receive emails and SMS messages efficiently and reliably over existing HF and V/UHF radio links. 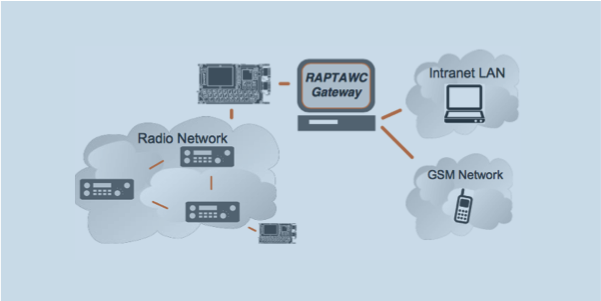 RAPTAWC Gateway allows users in the radio network to exchange SMS messages and Email messages with users in the GSM network and the local intranet or Internet. Gateway is a Windows application that interfaces between the radio network and email and GSM networks.